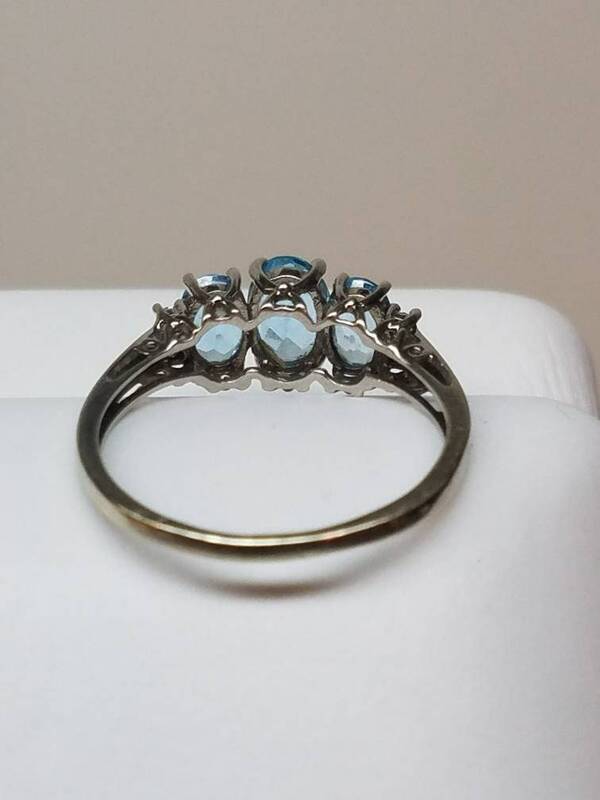 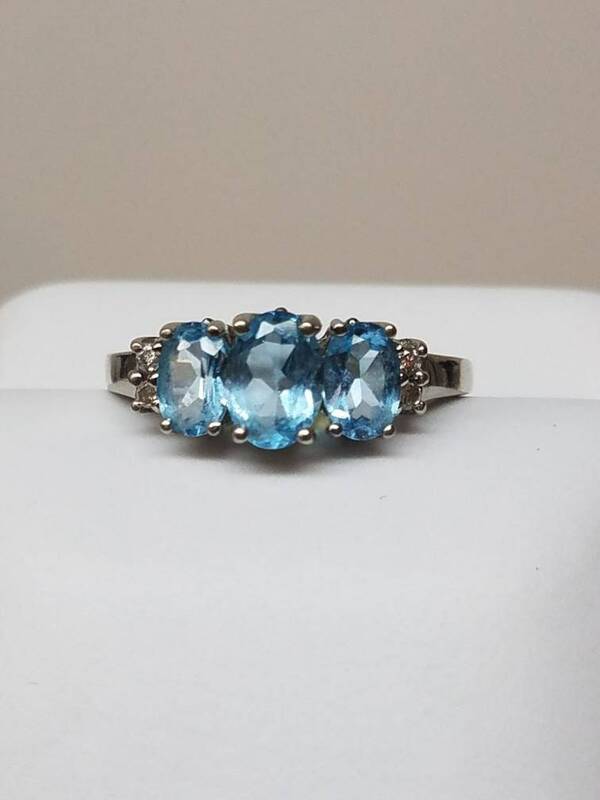 This dreamy vintage ring is set in 10K white gold and features three blue topaz gemstones. 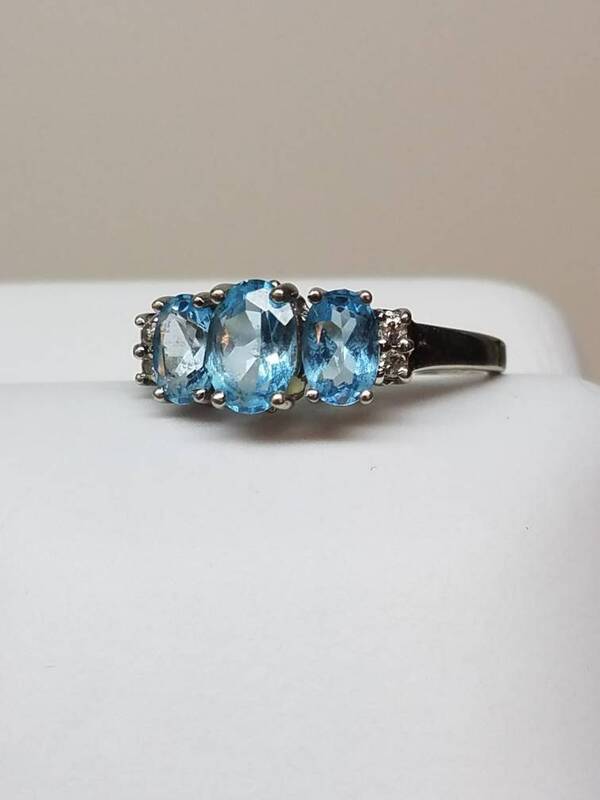 Two small diamonds flank each side of the outer topaz. 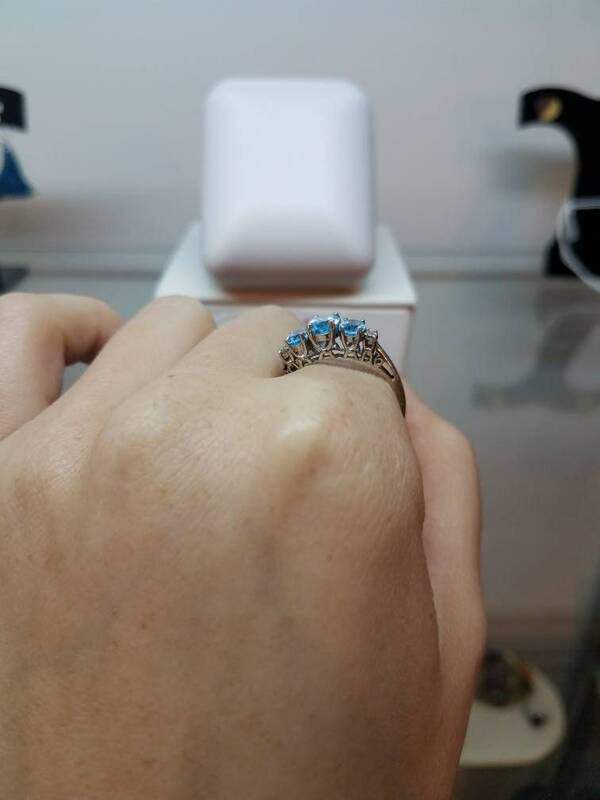 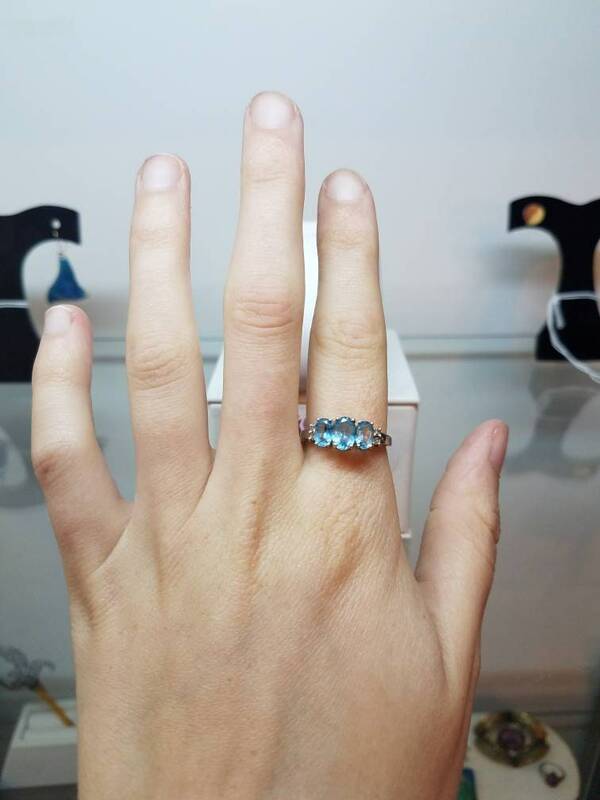 This ring is a size 8.5.